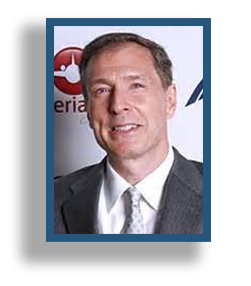 Richard is the Managing Partner of Eurasia Advisors. He also serves as Managing Partner of Innovate Partners an emerging company private investment fund, as a member of the International Advisory Council of the International Crisis Group and as an Independent Trustee of a publicly traded mutual fund. 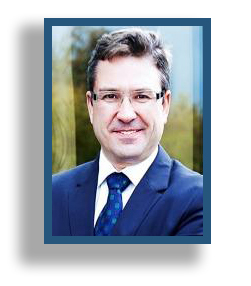 Prior to founding Eurasia Advisors in 2003, Richard practiced international corporate law for nearly twenty years as an equity partner with the international law firm Latham & Watkins. He founded the firm's Moscow office in 1992 and served as a key advisor to the Presidential Administration of Russian President Boris Yeltsin and as President of the Moscow based Foreign Bar Association. A longstanding past member of the Board of Directors of the U.S.-Russia Business Council, he regularly consults with the World Bank, Members of Congress, and the Administration regarding C.I.S. related issues. He Co-Chaired the U.S.-Russia Business Council and American Chamber of Commerce (Moscow) joint initiative to facilitate Russian accession to WTO. Richard delivered the key note address at the United Nations to open the U.N. conference addressing the establishment of a world-wide Sovereign Debt Restructuring framework. He frequently publishes on these subjects and recently authored "Towards a Sovereign Debt Restructuring Framework: Less is More", that appears in Joe Stiglitz's book Too Little, Too Late: The Quest of Resolving Sovereign Debt Crises, Columbia University Press, New York, 2016. He periodically lectures at Columbia University's Harriman Institute of Russian, Eurasian, and East European Studies as well as at the Institute for New Economic Thinking, the Centre for International Governance Innovation, and Columbia University's SIPA Center on Global Economic Governance. Richard ran in 2010 for the Deputy Presidency of the World Chess Federation on an international ticket headed by the Twelfth World Champion Anatoly Karpov with the support of the Thirteenth World Champion Garry Kasparov and is an avid chess player. He сhairs the Advisory Committee of a non-profit organization that has already taught chess to over 1 million public school second and third graders in the U.S.
A graduate of Dartmouth College and Fordham University Law School, Richard clerked for the Honorable Gordon Thompson, Jr., Chief Judge of the U.S. District Court, Southern District of California. He is the co-author of Collier Labor Law and the Bankruptcy Code, M. Bender (1989) and the author of The Earthbound Parent: How (and Why) to Raise Your Little Angels Without Religion, Pitchstone Publishing (2018). Richard is fluent in Russian and Spanish. In 1989, Gennady was elected to the Congress of People’s Deputies of the Soviet Union. He was one of the initiators of the Inter-regional Deputies’ Group, the first legally organized opposition in the Soviet Union, which was later credited by some with being one of the prime catalysts for democratic reform. In 1989, Burbulis became acquainted with Boris Yeltsin, who had been elected to the Congress of People’s Deputies with 90 percent of vote. Burbulis nominated him to the post of Chairman of the Supreme Soviet (the Congress’s standing body), which he was elected to on May 29, 1990. Yeltsin appointed Burbulis his authorized representative and deputy chairman of his Higher Consultation and Coordination Council. On June 12, 1990, the Congress of People’s Deputies of the RSFSR passed a law on the sovereignty of Russia within the framework of the Soviet Union. Yeltsin declared his candidacy for the newly established post of president and Burbulis organized his election campaign. On June 12, 1991, Yeltsin won the presidency with 57 percent of the popular vote. On July 19, 1991, Yeltsin appointed Burbulis Secretary of State, a position he held until May 8, 1992 when the post was renamed State Secretary to the President of the Russian Federation (which Burbulis held until November 26, 1992). From November 6, 1991 until April 14, 1992, Burbulis was also First Deputy to the Chairman of the Government (Cabinet). Effectively the second leader in the Russian government after Yeltsin, Burbulis was responsible for developing the strategy and overseeing the implementation of political and economic reforms. He also made significant contributions to the shaping of foreign policy and domestic security issues. Burbulis was one of the drafters and signers of the Belavezha Accords that effectively ended the U.S.S.R. and founded the Commonwealth of Independent States. In 1993, Burbulis founded the Strategy Center for Humanitarian and Political Science. He was elected to the State Duma (the lower house of the Russian parliament) twice and served as a deputy from January 14, 1994 to January 18, 2000. 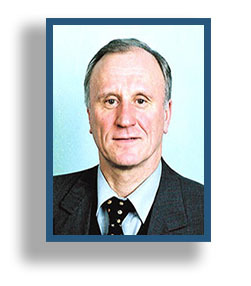 He served as deputy to the governor of Novgorod Oblast from June 5, 2000 to November 14, 2001, after which he represented Novgorod in the Federal Assembly (upper house of the Russian parliament) from November 14, 2001 to September 5, 2007. As Advisor to the Chairman of the Federation Council he was the initiator and first deputy to the Chairman of the Center for Legislation Monitoring and headed the group producing the annual Review of Legislation in the Russian Federation. Founding CEO, Center for promotion of innovative technologies "Novstream–Constructive Solutions", Moscow. Novstream provides technology commercialization and business facilitation services to inventors and entrepreneurs pursuing innovative projects including participation in early and later stage financing rounds. Novstream is a full member of the European Ventured Capital Association. Mr. Lazorin serves as a member of the Audit Council under the Ministry of Finance of the Russian Federation, and as an expert to the Russian Center for Technology and Innovation of PricewaterhouseCoopers. Mr. Lazorin started his professional career in PricewaterhouseCoopers, and then worked in the finance and investment industry with the EBRD, Russia Partners and the Carlyle Group. Mr. Lazorin is a Chartered Certified Accountant with a degree in Foreign Economic Relations from the Moscow State Institute of International Relations.